Free shipping. Buy direct from HP. See customer reviews and comparisons for the Knomo Grosvenor Place Carrying Case (Tote) for 15" Notebook - Black. Upgrades and savings on select products. A classic Tote bag that cleverly expands for those times where you need a little bit of extra room in your bag. With a hidden zipped back section to attach your bag to your suitcase, the Grosvenor Place also makes the perfect travel companion. 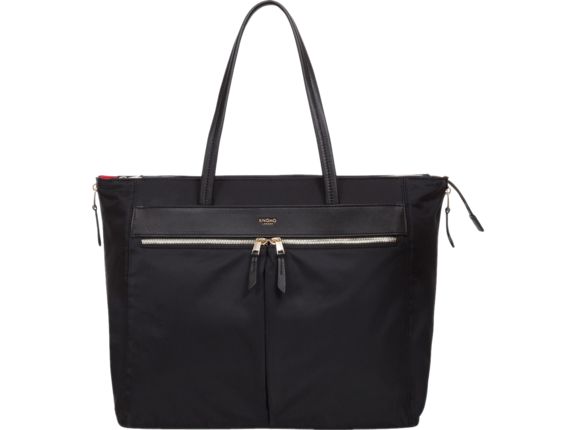 For those looking for the perfect everyday Tote Bag to take you from the office straight to the Airport or even just to the gym. Two easy-access front pockets: the right with our RFID lining - perfect for cards, passport and phones.